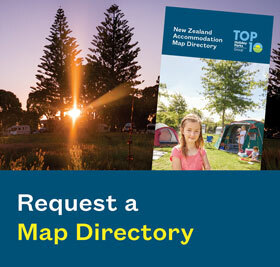 Rotorua's only TOP 10 Holiday Park located on the stunning Blue Lake, we have a range of affordable accommodation options to suit couples, families and groups of any size. Our dedicated Team pride themselves on providing a warm and welcoming atmosphere, ensuring we do everything we can to make your Blue Lake holiday as enjoyable as possible. You can expect outstanding service and facilities and an overall fun and relaxed atmosphere at any time of the year. From Lakeview Motels to Standard Cabins, we have accommodation options to suit any size and budget. We offer all-weather powered and non-powered camping sites that are spacious and scenic, perfect for families wanting to spread out with some peace and quiet. Wether you are coming to Rotorua for kayaking, fishing, swimming or just to simply relax, Blue Lake TOP 10 is the perfect place to be. 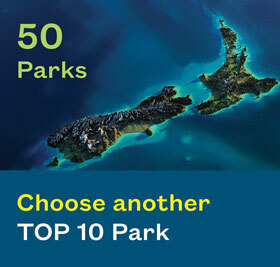 For a great Kiwi holiday, stay where the Kiwi's stay - at a TOP 10 Holiday Park! 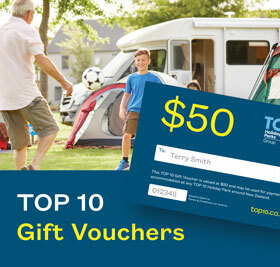 Further, you will be able to make the most of all the great savings and offers below. Membership savings cannot be claimed in conjunction with any other discounts or offers.